Beachlover, I've tried all their paste and they are really good. I like it because is not oily. 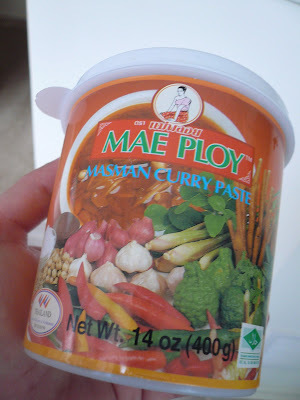 Gert, can I get this curry paste at any grocery store in Chinatown? 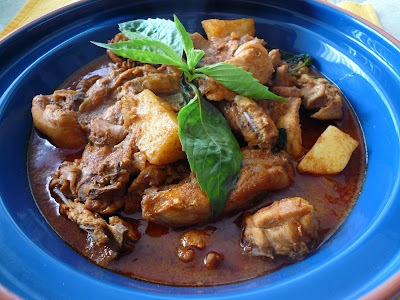 Must try this super Siam curry oh, nice! Envy, their curry paste is really good. Have you try all of it yet? 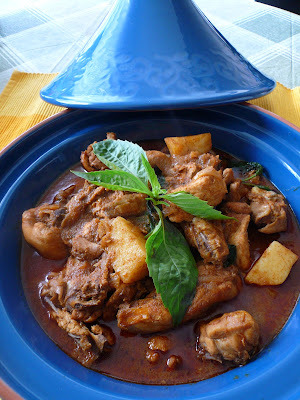 babe, love your curry....but what really caught my eyes is your very attractive blue colour ceramic pot. what is that called? did you cook with that ceramic pot? I saw kylie kwong used that and I saw a similar one at the shopping centre. Im gonna go to my asian grocer tomorrow and buy this. i hope they have it there.